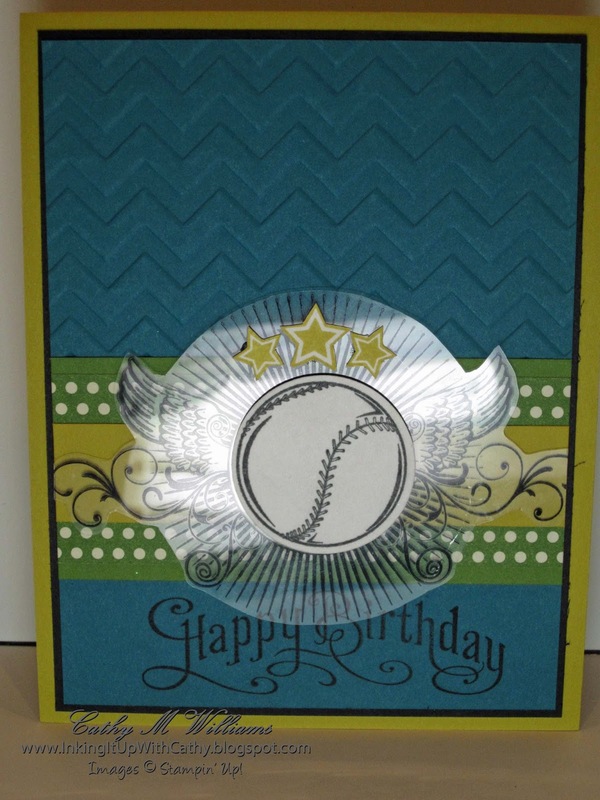 Here is a card that is perfect for a young boy or the sports fan in your family. We stamped the winged pattern on Window Sheets using Black StazOn ink and then cut it out. Here is the inside of the card. 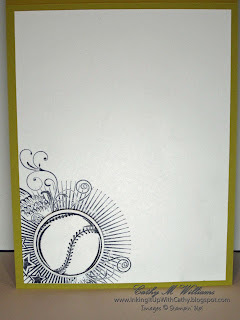 The baseballs were punched out which made it so easy. The Great Sport stamp set has a baseball, a basketball, a soccer ball and a football - perfect to cater to just about any sports fan!